Heating Company Residential & Commercial Heating Company in Livonia! For nearly a century, we've helped customers throughout Southeast Michigan find indoor comfort at home and work. Our staff is trained, licensed, and insured. We're also ready 24 hours a day for your heating and cooling issues --- from maintenance and repairs to air conditioning, we're just a call away. Certified by the National Energy Management Institute, and recognized by Michigan's legislature achievement in energy conservation, Reckingers Heating & Cooling has become a leader in repairs, maintenance, and installation projects. We offer warranty service for trusted brands, and after-warranty service for AC units, boilers, water heaters, and furnaces. You can breathe easier knowing that our mission is your comfort and satisfaction. From our application specialists and comfort system installers, to the 'Customer Quality Audit' to make sure you're satisfied - we go beyond our competitors to earn your business. We provide proof of state and local licensing. We are an authorized dealer, seller, installer, and service providers for many nationally recognized brands. 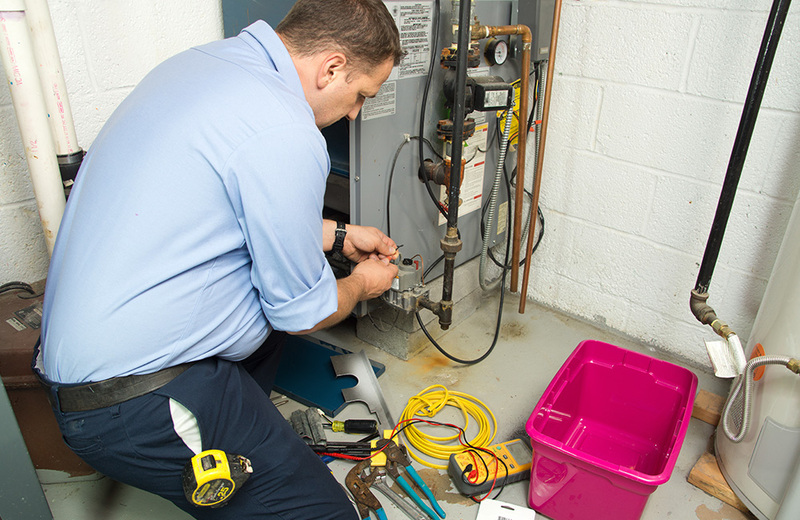 We service all types of heating, ventilation, air-conditioning (HVAC) and refrigeration systems. Our technicians are EPA-certified, factory-trained, college-educated, and embody our commitment to keep our crew-members informed of industry advancements and techniques. We explicitly state, in writing, the exact temperatures that your system can achieve through recommended use. Health - Volatile temperature changes leaves your staff, renters, or family vulnerable to heat stroke, dehydration, and cold or flu. Dependable service ensures that extreme temperature won't create unnecessary health risks. Productivity- Business-owners can't expect employees to be productive if they suffer from heat stroke or severe cold. Upgrades and maintenance is an investment that pays for itself through worker productivity. Structural Integrity- Regular service keeps humidity and other elements in-check - stopping mold, mildew, and other undesirable organisms from infiltrating your building. This reduces utility bills, outages, and increases property value on your home or business. For fast, reliable service from SE Michigan's most trusted team, contact us today to schedule service or request a free estimate for equipment installation.